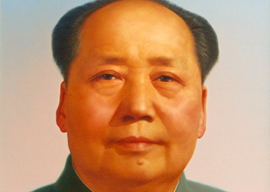 It is becoming a cliché that America is undergoing its own version of Chairman Mao’s Cultural Revolution. Obama’s 2012 reelection strategy unleashed energies reminiscent of those that plagued China from 1966 through Mao’s death in 1976. The most obvious example is the current urge to topple statues of past American heroes, which is reminiscent of the countless attacks on Chinese cultural sites by youthful Red Guards, such as the ransacking of Confucius’ tomb in 1966.